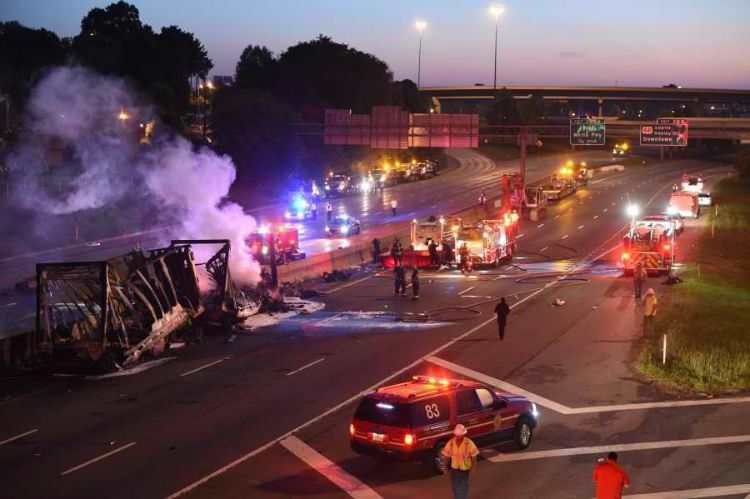 Two people are dead as the result of a fiery head-on crash that occurred on Interstate 40 near downtown Knoxville. This accident bears striking similarity to four others that have occurred on this same 4-mile stretch of highway since March 2013 – all resulting from the actions of a wrong-way driver. 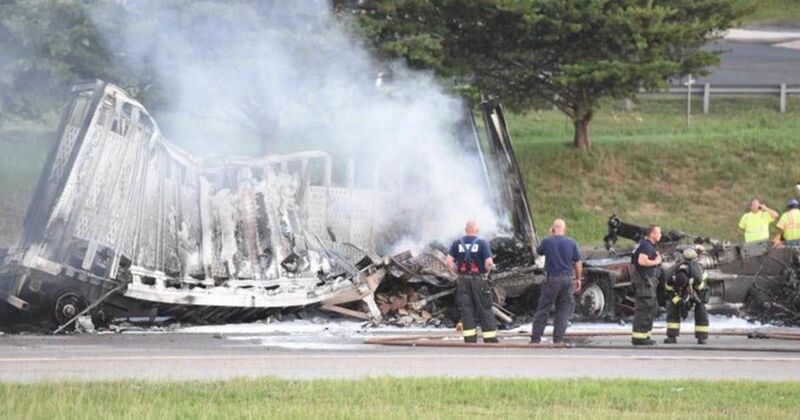 According to Knoxville News Sentinel, in the latest incident that took place July 21 around 1 a.m., 21 year old Anthony Swartz drove west into the eastbound traffic lanes, striking an oncoming tractor-trailer at mile marker 387, just west of the I-275 interchange. Truck driver Carroll Trent, 67, of Evington, VA was also killed in the crash. This same stretch of roadway was the location of four similar fatal crashes in 2013, all involving young men in their twenties. All these young men were killed as a result of driving into oncoming interstate traffic, and each crash occurred between the hours of 1 a.m. and 3 a.m. Alcohol was determined to be a contributing factor in at least two of the previous accidents, but there were no obvious signs of alcohol or drugs in the Swartz crash. Authorities are working to determine a possible cause for the crash. One possibility cited by KPD Public Information Officer Darrell DeBusk to Knoxville News Sentinel may be the density of interchanges along that stretch of I-40, where numerous on and off ramps allow more opportunities for drivers to head the wrong way onto the interstate. Less than a minute before the crash, a 911 call was received indicated a sighting of Swartz's white SUV heading west onto I-40 from the James White Parkway. There has also been some speculation that Swartz may have been playing the trending video game “Pokemon Go” on his mobile phone at the time of the crash, a charge leveled in a Facebook post by the daughter of the second victim, truck driver Carroll Trent. According to WATE, authorities say they have found nothing at this time to indicate this was a factor. Proponents believe this will reduce conjestion and make the roads safer for truckers and motorists. Still cutting walnut logs after a century of work, this steam powered circular saw was built to last. This perfectly restored 1968 Chevrolet Nova is a beauty!